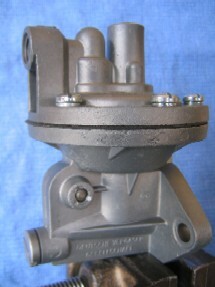 To compliment our line of rebuilt distributors, Vintage Werks maintains an inventory of rebuilt early fuel pumps of the type used on 25 hp and 36 hp VW beetle and transporter engines and early 356 A and pre A Porsche models. 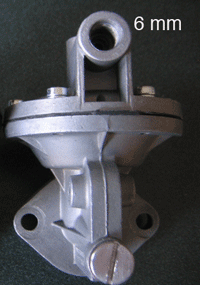 We only deal with original factory pumps, i.e. German manufactured by Solex. 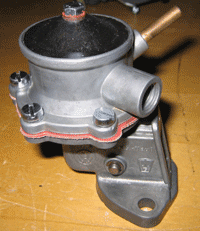 More recently we have added Pierburg fuel pumps for 40hp and 1300/1500 VW engines to our rebuilt line. 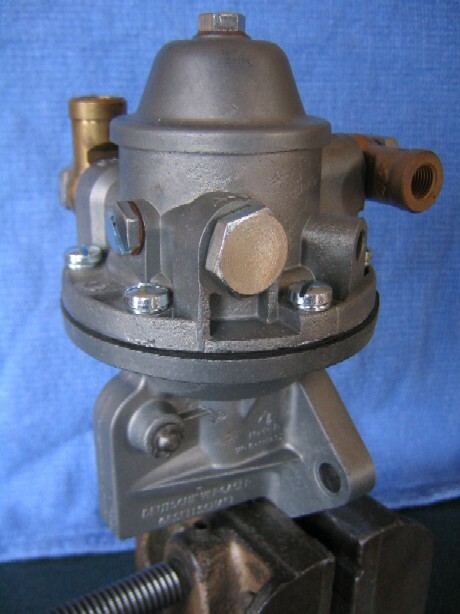 All pumps have been restored in a manner described under our Restoration Page and have been reassembled with proper preload on the diaphragm. 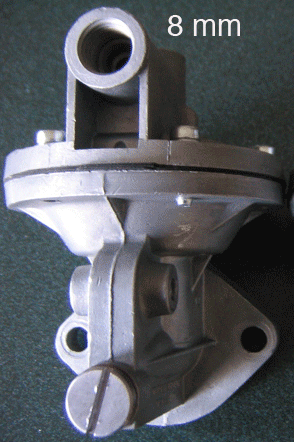 In addition, all mating surfaces have been refaced to assure a secure fit to the gasket and engine case. 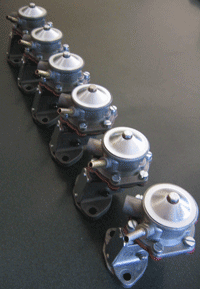 The pumps are sold ready to bolt onto your engine with new paper gaskets provided. The resistex base is not included. However, we have a limited number of these which can be supplied with your fuel pump purchase for nominal additional charge. About Fuel Pressure: Original factory manuals specify a fuel pressure of approximately 1.30 to 1.87 pounds per square inch (psi) for 25hp and 36hp pumps through 1958. After this time, pressure specifications were increased to a maximum of approximately 2.5psi. 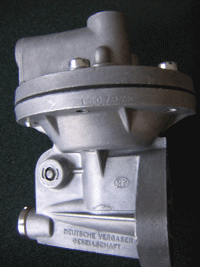 This pressure rating was retained through 36hp engine production and continued on 40hp and the later 1300/1500 engines. 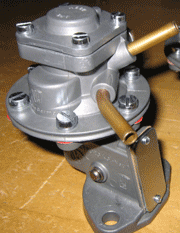 Although the preload on the diaphragms is designed to set the fuel pressure within the specified range, we recommend you check the pressure with a gauge after you install the pump in your engine. If you find the pressure too great, you can reduce it by adding another gasket between the pump and base or between the pump base and case. 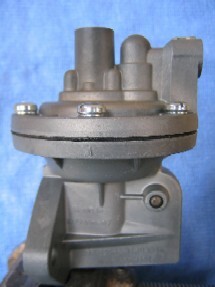 Domed fuel pump with dual out-going lines for Porsche 356-A. 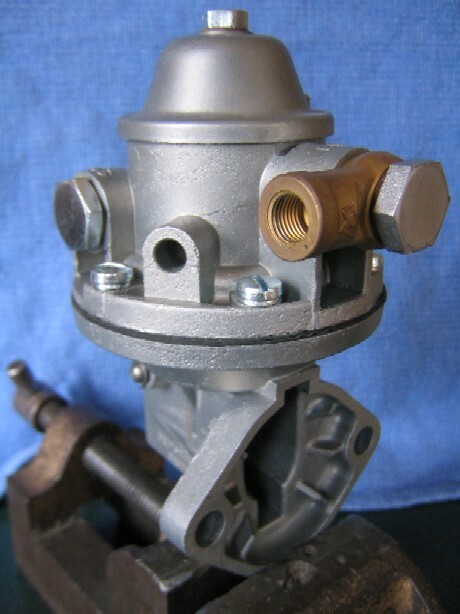 Flat top style fuel pump with threaded fittings for 8 mm fuel line used on VW 25 hp powered beetle and transporter engines to October 1952. 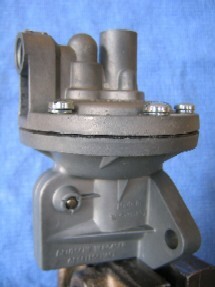 Flat top style fuel pump with threaded fittings for 6 mm fuel line used on VW 25 hp powered beetle and transporter engines from October 1952 through the end of 25hp production on December 21, 1953. 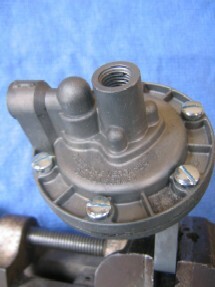 Domed style fuel pump with threaded fittings for 6mm fuel line with machine screw access on fuel pump base used on VW 36 hp powered beetle and transporter engines from December 1953 through July 1955. 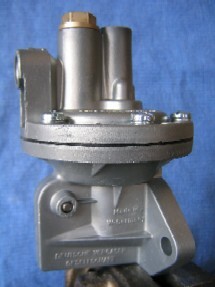 Domed style fuel pump with threaded fittings for 6mm fuel line without machine screw access used on VW 36 hp powered beetle and transporter engines from July 1955 through August 1958. 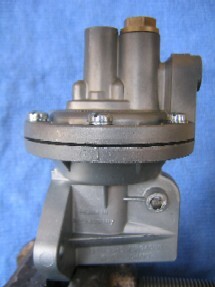 Domed style fuel pump with threaded fittings for 6mm fuel line with internal fuel filter and brass threaded nut for access used on 36hp powered beetle and transporter engines from August 1958 through August 1960. 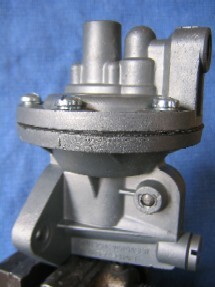 Pierburg fuel pump for 40hp VW engines from August 1960 to August 1965. 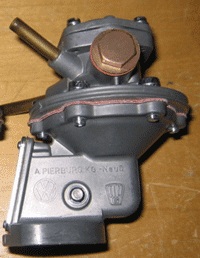 Pierburg fuel pump for 1300/1500 VW engines from '66.